Yesterday, British MPs decided that they don’t want no deal – though only in a non-binding manner. Moreover, they supported an amendment calling for changes to the Northern Ireland backstop. 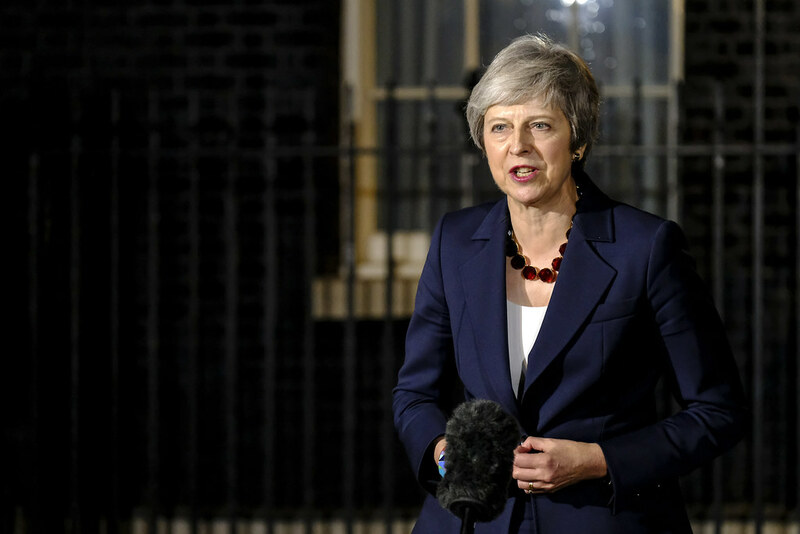 The amendment was supported by PM Theresa May – who had negotiated the backstop herself. The assumption is, presumably, that the EU will cave in. This seems unlikely at best. So, who emerged the happiest from this evening’s proceedings? The band of MPs who hanker after a no-deal outcome. Even if that’s an outcome that parliament has rejected, the fact of being one day closer to 29 March means it is more likely to come about by mistake. May will now go back to Brussels and seek to achieve in under a fortnight what she failed to achieve in a year of negotiations. And, on 13 February, it seems that parliament will again get a chance to figure out what it wants. According to US officials, Russia made a secret proposal to North Korea last fall: In exchange for Pyongyang dismantling its nuclear weapons and ballistic missiles, Moscow offered the country a nuclear power plant. It’s unclear how US President Donald Trump will view Moscow’s proposal. As part of the deal, the Russian government would operate the plant and transfer all byproducts and waste back to Russia, reducing the risk that North Korea would use the power plant to build nuclear weapons. Experts said the idea borrows from the original blueprint of the failed 1994 accord between North Korea and the Clinton administration known as the Agreed Framework. They also noted that Moscow has a longtime interest in creating an energy link between Siberia and East Asia. Infuriated by Italy’s induction into an expanded version of the so-called E3 club — the trio of France, Germany and the United Kingdom that helped negotiate the Iran nuclear deal — Spain has blocked proposed language on Iran intended for approval by EU governments. The feud boiled over just as the EU is trying to put the finishing touches to a “special purpose vehicle” (SPV) to help European businesses circumvent the economic sanctions President Trump re-imposed. There is a point on which a nationalist US administration, German free-traders and a noteworthy proponent of liberal ideas – George Soros – agree: China is no friend. Should we conclude that a new “cold war” has begun? The answer is: yes and no. Yes, because so many westerners think of China as a strategic, economic and ideological threat. No, because the relationship with China is very different from that with the Soviet Union. China is not exporting a global ideology, but behaving as a normal great power. The right path is to manage relations that will be both competitive and co-operative and so to recognise that China can be both foe and friend. In other words, we must embrace complexity. That is the path of maturity. The US should recognize that making common cause with allies, in the context of the rules-governed trading system it created, would increase pressure on China to reform. Moreover, countries should not be forced to choose one side or the other, as that would deepen divisions among and within countries. The selected pieces do not necessarily reflect the views of Javier Solana and ESADEgeo. The summaries above may include word-for-word excerpts from their respective pieces. To the Middle East to the Middle Kingdom.